The screenshot below shows the heading area of the Projected Balance Sheet Mid-Term Planning report.The report heading updates dynamically as various reporting options are selected. The logo can be changed in Administration; see Configuring Design Elements for more on report design. Break the mid-term planning data column(s) down into into two parts: a calculated, read-only part Opening and Delta Transactions and an editing part Not Applicable. A value (or delta value) can be entered or changed in the Not Applicable column. See Report Columns (below) for description of Opening & Delta Transactions and Not applicable columns. The columns displayed in the report depend on the selections made in the PoV area. The screenshot below shows a report displaying Forecast 3+9, with the options Suppress Zero Lines, the years in the plan, percent change between the forecast year over year and an area for comments. Below are descriptions of the columns in the Projected Balance Sheet Mid-Term Planning Report. BS Account dimension descendants of a preselected element, implemented with hierarchy and data filters. Input field for self-selected percentage value (planning helper functions). This field is visible only when “Show Percentage Basis” box is checked in PoV area. Manual input including planning helper functions. Consists of three columns: the year selected in Year combox and the two following years. For all planning reports, data entry is only possible when a single legal entity and the local currency are selected. Cell locking prevents the entry of data in fields that draw on multiple sources. In the Projected Balance Sheet Model, data entry is generally possible when no other Jedox Models are installed. 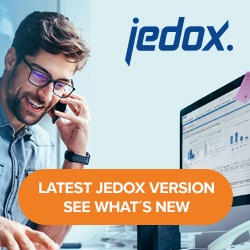 However, if Jedox’s Profit and Loss model is installed, then cell locking logic will be activated, as the data fields are linked across the Models. Every account in the BS Account dimension contains, the Projected attribute, which indicates whether the element is subject to automatic projections, the PCalculation attribute, which defines the rule that is implemented on the element, and PCalculationDependencies attribute, which defines the source cube of the transferred data. When information is stored in these attributes, cell locking is activated in the planning reports and data cannot be entered. See article, BS Account dimension for further details. For example, in the first screenshot below, element 910160 – Total return on capital contains information for PCalculation and PCalculationDependencies. Thus, the planning report will NOT allow values to be written to the database.